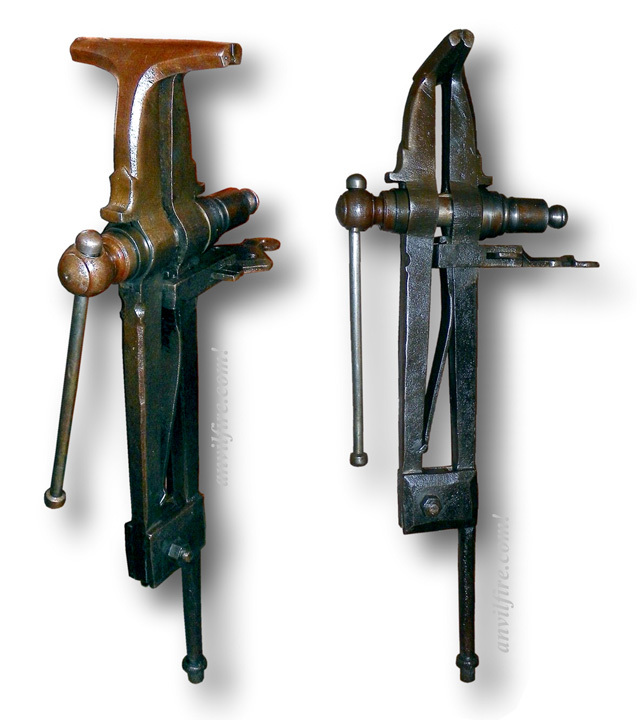 This exquisite example of English vise making is the most beautiful leg vise I have ever seen. Originally listed on ebay as a "huge blacksmith vise" it is in fact a large sawyers vise. This vise is so rare it may be entirely custom made. 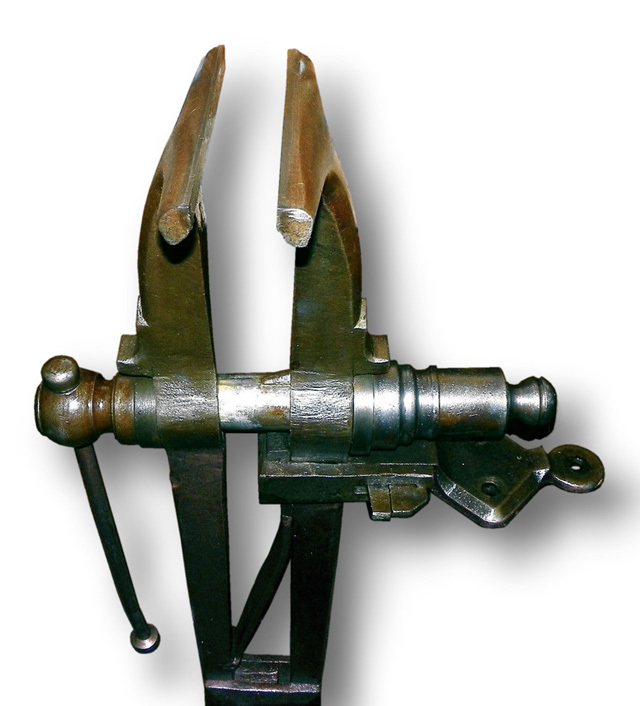 A sawyer's vise is used to hold flat saw blades while setting and filing teeth. The depth of the jaws is so that there is room for large hand saws to fit while keeping the teeth close to the vise jaws for stability. 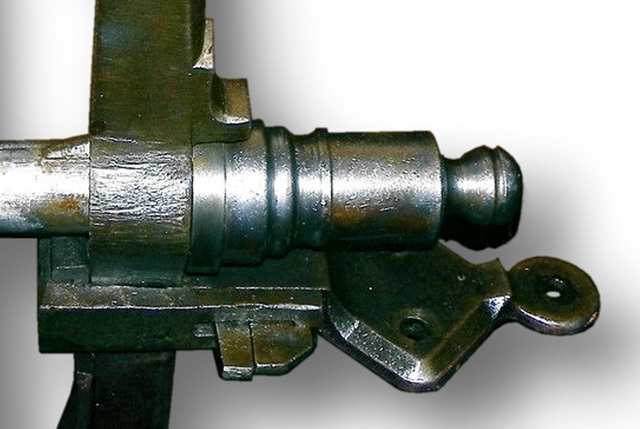 While this vise is not as finely decorated as some tools of the era it is forged with a high degree of skill and from the bench bracket up it is finely finished by filing. The bench bracket and strap has had unusual attention taken to its forging. The strap has carefully upset and forged square corners. The bracket has been filed (white smithed) to a fine finish and almost machined shape. The box (nut and screw cover) is a pieced together type and it has the usual hand turned detail of an English vise. 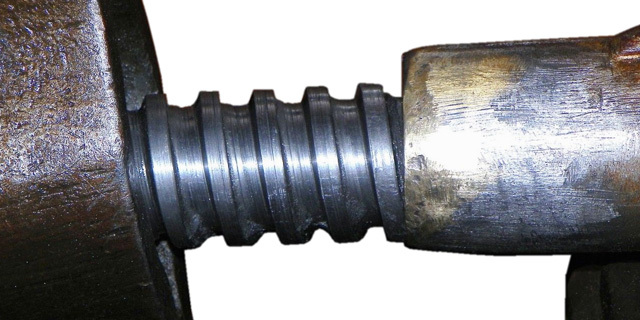 The screw threads show no wear but do show the imperfect shape of a hand turned screw. The box (nut and screw cover) have the haze of brass from the forge brazing of the assembly. The box is made of a tube, spiral thread, key, two thrust rings (one cut to fit the key) and an end cap. The tube is forged welded as are the rings but then the parts are all brazed in a forge fire using spelter (powdered brass or bronze). After brazing the box is finished by hand with files and turned on a lathe to clean up and add decoration. If you look closely you can see the fine color distinction between the wrought body and the steel inserts of the jaws.